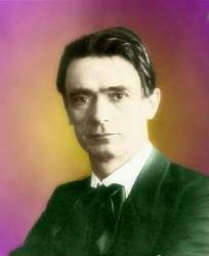 Rudolf Steiner gave a series of 8 Lectures in April of 1914 in Vienna. In this book the lectures numbered 1 to 6 are the six private lectures to anthroposophists(1) which followed the two public lectures. This next passage from the beginning of Lecture 4 illuminates the theme of this book and the nature of the first three lectures included in this book. He explained that if one wishes to understand spiritual worlds, the time between death and rebirth, one must attain certain concepts their own, concepts which cannot be attained from experiences in the time between birth and death. Steiner was a salient exception to this because he could gain knowledge of the spiritual worlds with his inborn clairvoyant sight while conscious. Somehow he was born with an organ of spiritual sight which he was able to use to teach others of the spiritual worlds and also teach them how to develop their own organs of spiritual sight to gain experience of those worlds themselves. [page 57] In my second public lecture(2) here, I tried, as far as is possible in a public lecture, to describe in broad outline the life of man between death and rebirth(3). We shall go more deeply into this subject in the next two lectures, in order to gain a clearer understanding of our life here in the physical world. The preparation provided by the previous lectures was necessary before we could go further. This course of lectures will provide the means whereby we can enter more deeply into this subject than was possible in the public lectures. [page 213, 214 of Harmony of the Creative Word] In the course of long centuries something very strange has come to pass, however, for the present stage of human evolution. It no longer proved possible to use up all the forces of human lack of understanding and human hatred and make them into new human forms in the world of the spirit. Something was left over . In the course of the last centuries this residue has streamed down on to the earth, so that in the spiritual atmosphere of the earth, in what I may call the earth's astral light, there is to be found an infiltration of the impulses of human hatred and human contempt, impulses that exist exterior to man. These have not been incorporated into human forms; they stream around the earth in the astral light. They influence man — not individual human beings but the relationships which people form with one another on the earth. They influence civilization. And within civilization they have brought about what compelled me to say, in the spring of 1914 in Vienna(4), that our present-day civilization is invaded by a spiritual cancer, by spiritual ulcers. And here is the cited reference from Lecture 6, April 14, 1914, Vienna, found in this book. Note that the word abscesses instead of ulcers appears in this translation, but the two words are synonyms of each other. [page 106, 107] One who spiritually observes social life, sees the germ of frightful social abscesses springing up everywhere. That is the great social problem confronting those who understand life; that is the frightful fact which is so depressing and which — even if we could suppress all our enthusiasm for Spiritual Science and the impulse which makes us long for it — yet makes us cry out for the remedy for this world disease that is already so far advanced and which will become ever worse and worse. That which in one field, in one sphere, must work as nature works, is seen by one who seeks to spread abroad spiritual truths to become a cancer when it enters the sphere of culture, as we have just described. Here is an example of how Steiner's lectures build upon each other. Our lack of understanding results in impulses of hatred and contempt which lead to social abscesses entering the sphere of culture. It is a disease which Steiner claimed in 1914 would become ever worse, and it clearly has. One look at nightly news in the year 2007 reveals ample examples of frightful social happenings, and few examples of thoughtful ways of solving the root causes of them. These are causes which lie in the inner nature of man, and that is the theme of the series of Rudolf Steiner lectures compiled into this book. Science considers the objects of perception as belonging to the physical world which exists outside of us, but there is a component of perception which is part of our inner nature, and Steiner rightly starts there, explaining this seeming paradox. In addition to thinking, feeling, and willing, we have also the traces which our perceiving of the material world leaves inside of us. [page 11, 12] If, to begin with, we consider the inner life of man abstractly, it appears in the three forms we have often mentioned; in the forms of thought, feeling and will. But in order to consider this inward life fully, we must add a fourth, for to the inner life of man belong not only the three realms we have just mentioned, but also that which he obtains through the perceptions of the senses. We do not allow colors and sounds, perceptions of warmth and other sensations to rush past our consciousness, but we lay hold of these impressions, we turn them into perceptions. The fact that we are able to remember these impressions, that we are able to retain them, that we not only know a rose is red when we have one directly in front of us, but that we are able to carry the red of the rose with us, to preserve as it were, the colors as a conception in the memory — this testifies that the life of sensation, the life of perception through which we bring ourselves into touch with the outer world belongs also to our inner life. So that we may say, that we must count our perception of the outer world as part of our inner life, in so far as we make it into something inward in the very act of perceiving it. We as human beings think upon things not just perceive them, and the things we perceive may generate feelings of pleasure or pain in us, but our primary value to the world comes when we act upon things in the world as willing human beings. Adding these together we find the four realms of our soul. [page 12] When we refer to the will, we are dealing with that which makes us of value to the world, which so places us in the world that we not only live a life of knowledge and a life of feeling within ourselves, but are able to re-act upon the world. What a human being wills, and what flows from his will into his actions, constitutes his value to the world. Thus we may say that in referring to the realm of will we are dealing with that element which shows that man is a part of the world and it is our inner life which thus flows out into the world and forms part of it. Whether they are the emotions and passions of criminal natures hostile to social life that flow into the will and thence become part of the world to the world's detriment, or whether they are the high, pure ideals which the idealist draws down from his contact with the spiritual ordering of the world and allows to flow into his actions, allows to flow perhaps only into his words which act upon human beings, stimulating them or revealing the worth of man — in either case we are always dealing with what lies in the realm of will, with what gives to man his value. So that all the wealth which man can really possess as a soul-being, is expressed, when we mention these four realms: Perceptions, Thought, Feeling and Will. The second two realms, Feeling and Will, we find are more closely connected to our inner nature. A thought or perception we could share with one another, but a feeling, such as one we might have in front of a work of art, we may be unable to share with another person. [page 14] But if we stand before a phenomenon of nature, or, shall we say, a human work of art, and through this develop our feelings, we know that fundamentally our human nature alone does not help us fully to exhaust what may thus be in front of us. It may be that when we hear a piece of music or see a painting we remain quite dull simply because we have not educated our feeling to be able to perceive its refinements. If we follow this direction of thought we find that this life of feeling is very interior and that we are unable to convey it to others directly in thought in the manner we experience it inwardly. In our life of feeling we are, under all circumstances, in a certain sense alone. We know at the same time that this life of feeling is the source of a special inward treasure, it is an inward result of evolution, and just because it is something so subjective, it cannot directly pass over into the object in the same way as it lives inwardly. This is the reason that we most enjoy a companion with whom we share an interior life. We perceive a similarity in them as to how we ourselves feel inwardly about the world. [page 14] When in the case of feeling we are able to rejoice in finding a companion in life who, in a purely inward, subjective manner, has arrived at a similar standpoint of feeling as ourselves, one who, through feeling, can so interiorize certain refinements in the external world that he has an understanding which is independent of and yet connected with us, we feel that our life is enhanced by such companionship(5). And yet we each possess one will, even though it is directed outside of ourselves. But two will impulses, however similar, are like solid matter in that the two cannot exist together in one object. The two wills are ever separate and form the core of what makes each an individual. Though the two each have their hands on the trunk and will to lift it, each shares the load. [page 15] Although we occupy common worlds through our will, it is exactly through this will that we are so placed in the world that each of us is a single individuality. It is just by this we are shown how the will constitutes the individual worth of a human being, how from this standpoint the will is the innermost thing. We may gather from this that perception and thought are more external in the inner life of man, and that feeling and will are more internal, and constitute his true inner nature. But the outer world is more complex than we can perceive with our senses or analyze with our thinking and thus we can only know it partly from exercising our perception and thought. Similarly we can only know partly what lies in our inner soul through by exercising our feeling and will. That is Steiner's exoteric outline of the matter using his thought processes which we can follow with ours. But to be a full human, one must come to know what lies in our inner soul esoterically. For this we must either build up our supersensible organs of perception or allow Steiner to illuminate the situation for us. [page 16] You know that during the night when a person is asleep, the connection between his 'I' and his astral body on the one hand, and his physical body and etheric body on the other, is different from what it is while he is awake. During the day while he is awake his physical body, etheric body, astral body and 'I' are coupled together in a normal manner. This connection is loosened during sleep, so that the astral body and the 'I' are away from the sphere of the senses and from the sphere of thought, that is, away from the entire sphere of the instruments of consciousness, and therefore the darkness of night is spread over normal consciousness and unconsciousness supervenes. Now, when through his esoteric exercises a person so strengthens his soul that he knows and perceives — that is, he spiritually knows and perceives — in the spiritual soul-being which he is during the night; when he is unconscious outside the body, when he really experiences this spiritual soul-being as his own human nature outside the body, then a new world appears to him, a spiritual world, just as a physical world exists for a person when he makes use of the senses and the brain which serves thought. Thus a spiritual world is around him. When we reach this point in our spiritual perception(6), a curious inversion of the world around us occurs. It seems to be a general rule that in the spiritual world everything is reversed or inverted in some way. With our sensory perception we stand upon the Earth and look around us at the things which stand upon the Earth. With our supersensible perception, we stand at the center of ourselves and everywhere we look we find our human self surrounding us. [page 18] And when one develops clairvoyant consciousness to a certain extent, the tiny being, the man, who formerly seemed to stand in the center of the sensible horizon, now really becomes the world, and we look on it as we formerly looked on the whole of the outer world which was outspread in space and ran its course in time. To a certain extent we have become the world. Only imagine what a reversal of the human way of considering the world it is, when that which previously was not world, that to which one had said 'I' — when this now really becomes the world outside, towards which everything tends. It is as if from every point of space one were to look towards a single center and there behold oneself. It is as if one floated back and forth in time and at a certain point, on a wave of this stream of time, one found oneself. One has oneself become the world. . . . Is it not remarkable that one goes out of the body with intention to learn about the inner life of man and the first thing that meets one is the human form itself? But there are further surprises for us. Our eyes shine like suns, our ears sounds, and our skin sparkles. Here is another inversion: we see our eyes, we hear our ears, and we feel our skin. [page 19] These eyes, those parts which were eyes, shine like two suns, but suns which inwardly vibrate with sparkling light, suns which sparkle, whose light shines out and fades, giving forth radiant light — thus do the eyes appear in the changed human form. The ears begin to sound in a certain way. One does not see the ears as one does in the physical world, but one feels a certain resonance. The whole skin shines with a sort of radiation, which one feels rather than sees. In short, the human form appears to one as something which gives forth light, sound and magnetic, electric radiations. These expressions are naturally inappropriate, because they are taken from the physical world. Thus does the world stand before us, and this is our world at the beginning of the clairvoyant experience we have described. One sees the human being which sparkles with light, the whole skin sparkles so that one can feel it, the eyes can be seen, the ears heard. With spiritual vision we begin to see the etheric body like a circulation of dark waves through a light-body. This shows us our etheric body as our "weaving thought-life" running through us like "spiritual blood." Just as in the physical world we receive impressions of the world and feel things, so also in the spiritual world we feel things, but it is different from what we call feelings in the physical world. [page 20] What corresponds to feeling on the physical plane, can also move us inwardly when outside the body. It is not feeling, for feeling has meaning and existence only within the physical body, but it is that which corresponds to feeling in the spiritual world. We begin to experience ourselves in our astral body in such a way that "what formerly was only felt, now comes to life in inner content." (Page 20) As we concentrate upon our star-life, our astral body changes, the shining ceases as does the though circulation, and we see our karma personified. We see our very muscles as formed out of our fate, our karma. This gives us an understanding of how our feet may actually take us into places important to our destiny without us being conscious of the reason. Our karma acts much as a post-hypnotic suggestion does upon hypnotized subjects. They will do things suggested by the hypnotist, things they do not remember being told to do, and then they will offer plausible explanations for having done them, but never once will they consider that they were being controlled by the hypnotist the whole while. Likewise, each of us has our individual karma which operates upon us much as a hypnotist giving post-hypnotic suggestions. We are conscious, but we act out of unconscious impulses of our own karma. As soon as someone makes us aware of our karmic impulses, if we are operating immorally, we will cease that behavior immediately. If we are operating morally, we will be encouraged. Such events of perception of one's karmic destiny occurred to humans during Jesus' life. When they looked into his eyes, they saw the karmic consequences of their deeds laid out for them. In an insightful and revealing scene in the movie "Ben Hur," Jesus comes to Juda ben Hur's aid with water. The Roman guard, who had moments ago prohibited anyone from giving Juda any water, comes up angrily to lash out at this interloper who was blatantly ignoring his orders — but upon seeing Jesus's face, he backs off, his face screwed up in intense trepidation, exactly as if he had seen the karmic consequences of the deeds of his own life. Juda ben Hur, on the other hand, looks into Jesus's eyes and smiles. [page 21] As long as we are on the physical plane we think that this man of muscle consists of fleshly muscles; in reality these fleshly muscles are crystallized karma. And they are so formed in man, so crystallized, that, even to the finest chemical formation man bears his crystallized karma in his muscular system. So strongly is this the case that the spiritual observer sees quite clearly that when for example a person has exercised his muscles so that they have taken him to a place where an accident happens to him, it happened because in his muscles lay the spiritual force which drove him of himself to the place where the accident occurred. The cosmic order has crystallized our fate within our muscular system. In our muscular system lives the spirit (crystallized for the physical plane), which without our apparent knowledge leads us everywhere, directing our coming and our going in accordance with our karma. [page 25] . . . if we wish to understand man, we cannot do so otherwise than by recognizing that the whole is born from out Divine-Spirituality. When we consider him and observe how his feelings flow into his muscular activity and how Divine-Spirituality, the Cosmos, enters into his bones, how the whole universe lives in the movement of his bones and the whole planetary system lives in the contraction, expansion and relaxation of his muscles, when we ponder on this and feel it deeply, we can say with full understanding: Of a truth man is born from God: Ex Deo Nascimur. In Lecture 2, Steiner reveals that the aim of God is to create the Ideal Man. [page 31] The aim of the creative activity of the Gods is the Ideal Man. That Ideal Man does not really come to life in physical man as he is at present, but in the noblest spiritual and soul life that it is possible through the perfect development and training of aptitudes which this physical man has within him. Thus a picture of Ideal Man is ever present to the mind of the Gods. This is the religion of the Gods. While on Earth in a physical body, religion is a personal choice, a free act, but in the time between death and a new birth, there is no choice but for us to perceive religion ideals directly as we view the Ideal Man as the goal of the Gods. [page 31] Here on earth a person may be irreligious, because his soul may disregard the spirit as compared to the body; above, it is impossible for him not to see the aim of the Gods, for it stands clearly before his eyes. Thus in the second half of the life between death and rebirth the ideal of humanity stands, as it were, on the shore of existence, that is to say, on the shore of on-flowing time (consider all these expressions as referring to 'time' that is outside space). A religion formed on knowledge cannot exist there; for in the spiritual world we realize what the content of religion is. In this sense no one can be irreligious there. The religious ideal of the spirit-land is ever before one, it stands there of itself, it is the goal of the Gods and when we enter upon the second half of our life between death and rebirth it stands before us as the mightiest, the most glorious Imagination. Although we cannot there develop a religion by knowledge, still, under the guidance of the higher Spiritual Beings who are there active for man, we do develop a sort of religion. When the time comes for us to return to an incarnation on Earth, it shouldn't be surprising to find that some have their ears bent by Lucifer who urges them to stay in the spiritual world, by saying, 'Seize the opportunity, thou canst remain in the Spirit; thou canst carry over into the spiritual light all that thou has acquired!' (Page 34) A battle ensues between Lucifer and those spirits opposed to him, and about the same time, the human feels a magnetic attraction to its parents to be and becomes once more connected to space. Once we return to human form, we have a built-in mechanism, a spiritual truant officer called the Guardian of the Threshold(7) to keep us developing as humans should and overcoming the temptations to fly into the spiritual world too soon for our stage of development. This next passage reveals a great mystery which lies behind human existence, and it should be read carefully. It tells us why we are led into earth-existence from Spirit Land and back again as part our development as human beings. [page 35,36] Between birth and death a wisdom rules within us which exists behind the world which we see with our senses and concerning which we think with the intellect that is connected with our brain. This wisdom is in the background; it is hidden from us between birth and death, but it controls, it lives and works within us in the subconscious depths of our soul, and in these subconscious depths of our soul it has to take our affairs in hand, because we have to be withdrawn for a time from the vision of that which would be a temptation for us. All the time we live in our body we should — if the Guardian of the Threshold did not withhold from us the vision into the spiritual world — be tempted step by step to abandon our still undeveloped human possibilities and to follow the upward sweep into the spiritual worlds, taking with us all our imperfections, instead of allowing ourselves to be guided thereto through careful training. We have need of our earthly life so as to be withdrawn during this time from the temptation of Lucifer. Up to the time mentioned, when we are led forth into space, Lucifer has no power over us and there is always the possibility of progress; but he draws near at the time we have to make the decision. We can make no further progress through our previous life, so we wish to turn aside with all our imperfections and remain in the spiritual world. The Gods of progress, to whom Lucifer is opposed, protect us from this by withdrawing us from the spiritual world, by hiding themselves from us and from the spiritual world, doing that which has to be accomplished in us without our being conscious of it. Thus we stand here as human beings in the world, conscious in our physical body, and say: 'We give ye thanks, ye Gods! Ye have given us the power to know as much of the world as is good for us; for if we were to see beyond the threshold of the present horizon of our consciousness we should be in danger every moment of not wishing to reach the goal of humanity.' We have to be transported into the world of space from that bright, higher condition of consciousness in which we live between death and rebirth — when spiritual worlds and spiritual beings surround us, when we are in the spirit, in order that in the world of space that world may be hidden from us which we are unable to endure until we have passed through the period between birth and death. During the time we dwell on earth, through our having been withdrawn from the spiritual world, through this spiritual world not having worked upon us and through material objects alone having surrounded us — we have again received a new impulse towards the distant goal of the ideal of humanity. For the divine Spirits who drive us forward work in us the whole time we live upon earth, during which time we do not see consciously into the spiritual world. They work in such a manner that they are not disturbed by our state of consciousness, they are not disturbed by our being tempted to follow Lucifer. They instil so much power into us, that, when we pass through the portal of death, we are able again to press forward a little further towards the ideal of humanity. The statement "Out of God we are born" takes on a deeper sense when we come to understand how our lives move from Earth to Spirit Land and back to foster our development. Ex Deo Nascimur. As we enter the second two lectures, we expect to hear how "In Christ we die" or In Christo Morimur. Steiner begins with expanding our knowledge of light and perception from the childish physics concepts we are spoon-fed currently by materialistic science. [page 41] The first thing we remark is that when a human being receives impressions of the outer world, he actually receives into his consciousness only a small portion of what really surges in upon him. When in the physical world, he opens his sense organs and the intellect connected with his brain and nervous system, when he considers the world and tries to explain what comes to him in this way, only a small portion of what surges in upon him, really attains the form of ideas, only a tiny portion really enters the consciousness of man. Light and color contain much more than what enters man's consciousness. In sound there is much more than what comes into the consciousness of man. External materialistic physics in its childish idea of the world says that behind color, behind light, etc., there are material processes, vibrations of atoms and so on. What else besides vibrations does light contain? And what happens inside when we perceive it? These are questions which bear upon the reality which all of us experience, and yet our childish physics and baby science offers us no explanations. It cannot offer us explanations, because the explanations lie in the spiritual components of our reality which baby science professes does not exist. How can one describe the nose of a camel which is stuck under the tent, if no one else in the tent will admit to its existence? That is the situation Steiner finds himself in vis-à-vis baby science and the general public, but in private lectures such as these he can reveal a complete description. Think of how strange the idea that a part of us dies whenever we perceive something would be to a baby scientist, for example, who would use it to ridicule the person making such a claim. But we know from Steiner's large body of work, that he makes no claim, but simply reports what he perceives of his own accord, and his reports are always consistent with each other and trustworthy. When we perceive with our senses, something like a light-corpse forms in us as a part of ourselves dies. This is apparent to clairvoyant vision. [page 42] The light streams towards us and brings about in us the sensation of light; but looking deeper into our being we discover that while we are conscious of light, our human nature is permeated by something that has to die in us in order that we may have the sensation of light. We can have no perception, no sensation from outside without a sort of corpse being formed as the result of this sensation. We perceive only the froth which covers the Imaginations, Inspirations, and Intuitions contained in the undulating motions of light. In the time between birth and death, the Guardian of the Threshold protects us by filtering out the Imaginations, Inspirations, and Intuitions. Thus, we receive in consciousness only one-fourth of what reaches us thanks to the filtering process of the Guardian of Threshold. [page 43] The moment we perceive all that lives in light, in sound or in warmth, we perceive, behind what reaches our consciousness, creative Imagination, and within this again is revealed Inspiration, and within that, Intuition. That which comes into our consciousness as the sensation of light or sound is but the outermost layer, only the froth, as it were, of what comes to us; but within it there is that which, if it were to enter our consciousness, could become in us Imagination, Inspiration and Intuition. It is good that we are not conscious of any more than a fourth of the impressions we receive, because we would be tempted by Lucifer to skip important steps in our development as human beings. Steiner says in many places in his lectures and books that sin and evil are "goods out of their time." Thus, skipping steps on our way to the ideal human to gain premature entrance into angelic stages of perfection is an evil, and for one to attempt such a thing would be a sin. Because the Guardian of the Threshold permits us to perceive only the froth and not the underlying Imaginations, Inspirations, and Intuitions, we are saved from observing the battle which takes place every time we have a perception — the battle that ensues between Lucifer and the Spiritual Beings which oppose him every time the “impulses to spiritualize ourselves immediately” enter us. [page 44] These come into our being from the other side and now arises within us the war between Lucifer, who sends in his Imagination, Inspiration, and Intuition, and the Spiritual Beings to whom Lucifer is opposed. With every sensation, with every perception we should behold this battle, if the threshold of the spiritual world were not closed to our outward perception. There are those who claim that because they cannot perceive these deeper components of perception, those components do not exist. It is exactly for those people that the Guardian of Threshold works so assiduously with the goal of protecting them from harming themselves by precocious development. Who would exchange harm for perception? The safe way to attain those deeper modes of perception are clearly explained by Rudolf Steiner in his book Knowledge of the Higher Worlds and Its Attainment for those who are serious doing so. What is the nature of this corpse in us which arises from perception? It has the nature of the silvering of the reverse side of a transparent pane of glass to create a mirror. Without the silver coating, light would pass through the pane unimpeded. The glass would be invisible. We could hurt ourselves walking through an un-silvered mirror. Our physical body is like a pane of glass. When we have a perception, the light-course forms inside our body as a reflective surface which allows us to view our physical body. Consider the case of the "Invisible Man" which is a recurrent science fiction theme. If the man is invisible, his retina must be invisible, and therefore light would pass unimpeded through his retina and therefore he would be not only invisible, but completely blind! Being blind, he would have no perception of light, and therefore could build up no light-corpse or silvering material to reflect light and he would become invisible! The two processes are inextricable: being invisible and having no perception. They are thus revealed by a simple inspection of the reality of the so-called Invisible Man. [page 45] The physical body would really stand before you like a pane of glass without any mirroring substance behind it. But the physical body is now permeated with the corpse which resembles the mirroring substance of the mirror and it reflects everything that falls upon it, exactly as in the case of sense perception. It is in this way sense that perceptions originate. The permanent corpse we bear within us is the reflecting substance of our whole body and we thereby see ourselves in the physical world. It is because of this that we are individual physical beings in the physical world. How complicated does the human being now appear to us! To summarize: our physical body becomes opaque to light by acquiring a silvering left behind by the light-corpse created by the activities of perception, and Lucifer must do battle with the progressive Spirits who wish us to develop in appropriate ways to become the Ideal Human. Our etheric body similarly acquires an opaqueness to it by our activities of thought, and this time it is Ahriman who must do battle with the progressive Spirits. What is a progressive spirit? It is simply a Spirit which promotes the goal of the Ideal Human Being and opposes those regressive spirits such as Lucifer and Ahriman who have widely divergent goals for human beings. Lucifer would have us prematurely enter the Spirit world, and Ahriman would have us remain on Earth in material form. These are the two great battles being fought on Earth and we humans are like the grass on the battlefield. We are beaten down in various ways by the agents of the battle raging over us, but are otherwise oblivious to the details of the ongoing battle, up until now. Some perceptions may lead to a thought — an interior process which makes no impression in our physical body, but only upon our etheric body. Just as we filter into our perceptions a small percentage of the inputs our body receives, similarly with thoughts. Much more is contained in the thought than we can receive. Steiner has us imagine an ant hill in our brain where each ant represents an elemental carrying a living thought(8). [page 45, 46] Were all that is contained in thought to enter into us, we should feel, every time we think, nothing but living, elemental beings pulsing in us; we should feel inwardly alive. I mentioned once at Munich that if a person were to experience thoughts just as they are, he would feel somewhat as if he were in an ant heap. Thoughts would live in him, everything would be alive. We do not perceive this life in our human thought, because again, only what is like the froth of it enters our consciousness and forms those shadow-pictures of thought which appear in us as our thinking. On the other hand, that which permeates thought as living force, sinks into our etheric body. Here in the etheric body we find the second battle raging between Ahriman and the progressive Spirits. This is the battle which turns our etheric body opaque with the treasure left behind by the thought life which surges through us. [page 46] We do not perceive the living beings, the living elemental beings swarming through us, but only an extract, something like a shadow of them; but the other part, the life, does enter into us and as it enters into us pervades us in such a manner that again a battle takes place, this time in our etheric body, between the progressing spirits and Ahriman, the Ahrimanic beings. And what is the outcome of this battle? It is that thoughts do not appear in us as they would do if they were alive. Were they to appear as they actually are, we should feel ourselves within the life of the thought-beings moving hither and thither; but we do not perceive this, and our etheric body, which otherwise would be transparent, is rendered opaque. I might say that it becomes somewhat like a smoke-topaz, which has darker layers in it, while quartz is quite transparent and pure. In the same way our etheric body is filled with a spiritual obscurity and that which thus fills our etheric body is the treasure of our thought. Our physical body is visible to others' perceptions by means of the opaque reflective silver-coating it receives from our own processes of perception. Similarly our etheric body is known to us by the memories it stores during our physical life of the thoughts reflected by its opaque nature. We are human beings living in time in our physical bodies and memories are thoughts reflected in time in our etheric bodies. [page 46] This treasure of thought arises through thoughts being reflected, as it were, in our etheric body in the way described, but in this case, in 'time', they are reflected back as far as to the point of time to which our memory extends in physical life. Memory is rejected thoughts, thoughts reflected in time. But deep down in our etheric body, behind memory, work the good divine Spiritual Beings to whom Ahriman is opposed and there they create, they construct the forces which are able to reanimate what has died in the physical body as the result of the above-described process. Thus whereas in our physical body a corpse is produced (a corpse which has to be produced, because otherwise we should have the impulse to spiritualize ourselves with all the imperfections we possess), something like an invigorating vital force proceeds from the etheric body, so that in the future that which has been killed can once more be regenerated. In these passages we find out the significance of time for us as human beings living upon Earth, what past, present, and future means to us. How we have strong filters of deep activities inside of us to simply allow us to progress as full human beings without being diverted from the ultimate goal. [page 47] We now see for the first time the significance of 'before' and 'afterwards'. If in the immediate present we were fully to experience the Intuitions, Inspirations, etc., which enter into us, we should spiritualize ourselves, but through their being thrown into the future by Ahriman, through their not being used now, but being preserved as germs for the future, they attain at last to their true nature. That which we should misuse at the present time we shall employ in the future, when we have passed the portal of death, to shape a new life for ourselves from out the spiritual world. That which — if we were to use it in the physical world — would lead us to spiritualize ourselves with all our imperfections is the force that leads us after death to apply ourselves again to physical earthly life. In such opposite directions do things work in different worlds! We have a process of "killing" occurring as a result of perceiving and a process of "living" occurring as a result of thinking. Steiner reveals the processes of feeling and willing which completes the four things connected with the human soul. But feeling and willing(9) are not completed in us, rather they hide "half born" in the depths of our soul. Why is that? Because the Guardian of the Threshold hides it from us on the physical plane. And when do they appear to us fully born? During the time between death and rebirth on the spiritual plane. During that time we need Lucifer and Ahriman's help in judging from the point of view of the physical plane. [page 48, 49] That which lives in feeling and in will, and remains unborn, is karma in process of development, evolving karma. Let us suppose, to choose a concrete example, that we have a hostile feeling towards someone. That which comes into our consciousness when we have this hostile feeling is but the ripple on the surface; below, forces are active which extend over the whole of our planetary system. But it is precisely that which remains hidden that says to us: 'Through thy hostile feeling thou art implanting in thyself something that is imperfect,' this thou must make good. The moment that were to appear, which dwells below the surface, we should see before us the 'Imagination' of what karmically must balance this hostile feeling. In order to avoid the compensation we should unite ourselves with Lucifer and Ahriman, because we should judge what we saw from the standpoint of the physical plane. On the physical plane this is hidden from us; the Guardian of the Threshold hides it from us because we can only judge the things which are unborn in our feelings and in our will when we live in the spiritual world between death and rebirth. There we will what otherwise we never should will; there we will that what corresponds to a hostile feeling shall really be corrected, because there we have a true interest in the contents of divine religion, in the perfect ideal of humanity, which would make of us perfect human beings. From this we know that what has come to pass through a hostile feeling must receive its equivalent compensation. It has to be held over till the future, only after death may that appear which has remained unborn in our feeling and will. Whenever we feel out of harmony with life, the pressure is exerted upon us by that unborn part of our feelings. Dissatisfaction stems from this ultimate source of disharmony in everyone, but it is often projected upon other people who are blamed as the source of our dissatisfaction, up until now. [page 50] If there were true unison between that part of feeling and will which is born, and that which remains below the threshold of consciousness, if the right relationship, the right harmony existed, we should live in this sense-world as happy and useful human beings. Here lies the real reason for all inner dissatisfaction. If anyone is inwardly dissatisfied, it comes from the pressure of the subconscious part of his feeling and will. What remains unborn in our feeling and will can only be perceived and developed in the time between death and a new birth, but its development requires that we have developed powers during our time between birth and death. How do we acquire knowledge about things we cannot perceive with our senses? Through religious thought. That is the proper function of religion, rightly understood. Those who laugh at religious ideas, calling them nonsense and fantasy, in this portion of their human life between birth and death will find themselves crippled in the time between death and a new birth. And it won't be funny. [page 52] Religious conceptions are those which cannot work in us as yet, but they become active forces after death. When we acquire religious conceptions we are not merely acquiring knowledge, but something that can become active after our death. For this reason it must be that anyone who does not want to reflect upon active forces of such a nature may laugh about them and in his materialism may reject them, but if he does not acquire ideas regarding what is supersensible he will have but crippled powers wherewith to develop that which has remained unborn in his feeling and will. The silvering of the physical body for the average human being was only completed during the time of the Mystery of Golgotha. It brought to the fore the processes of our individual "I". Before then the God Jahveh was said by the Jewish initiates to "think in man." We today say "I think" but back then they said, "God thinks in me." The ancient Greek had a similar feeling, but used the name of a Muse, as when Homer began his Iliad with "Speak to me, O Muse, of the wrath of Achilles." An evolution of consciousness can be discerned when a mere five hundred years later Virgil began his Aeneid thus, "I speak of arms and the man, Aeneas." Note that the "I", which was missing in the words of Homer before the time of Golgotha, appears in the words of Virgil a couple of hundred year after Golgotha. At the time of Golgotha, between Homer and Virgil's time, thoughts no longer came from out of humans to meet the Gods, and the Gods took action to restore the connection which had grown dimmer and dimmer. [page 55, 56] But the necessity arose in human evolution that this should become more and more impossible and that darkness should spread more and more. The possibility of seeing visions, the thoughts of the Gods in man, ceased. The phantom-like corpse in man became more and more pronounced. The time drew near, when no more thoughts came forth from our human nature to meet the Gods. The Divine Being regarding whom it was said that He thought through man, felt His consciousness becoming dimmer and dimmer — for His consciousness consisted in His thoughts. And the longing arose within this Divine Being to awaken a new form of consciousness. When men acquire a different form of consciousness, they acquire something of the utmost importance. When the Gods create a new form of consciousness, they create with it something essential; something of the most profound moment occurs. The thing of profound importance that now came into being was the Christ. Christ the child of the Godhead, restored to man the power whereby he was conscious of God — restored the consciousness which the previously mentioned Divine Being had felt to be darkened. To accomplish this the Christ had to enter into and become a part of human nature. This entering of the Christ into human nature was a voluntary act by the Christ and this deed was called by Steiner the Mystery (or Deed) of Golgotha because the deed culminated when the blood of Christ Jesus dropped from the cross on Golgotha and entered the Earth . With this background, we are now ready to understand the Latin phrase, In Christo Morimur, (In Christ We Die). [page 56] Into Christ we let sink the death-content which is present with every perception; into Him we allow the darkening of our power of thought to sink. Into the light, into the spiritual sunlight of Christ we send our darkened thoughts, and when we pass through the portal of death, our unborn feeling sinks within the substance of Christ and so too does our unborn will. When we understand evolution aright we say to this evolution: In Christ we die — In Christo Morimur. Nature is everywhere apparent on Earth — to the fool equally as the wise. In the spiritual world, as we found earlier, things are inverted, and this results in wisdom being apparent to the fool equally as the wise. We are each and all surrounded by wisdom, but we must diminish it and by doing so transform it into a life-force which moves us toward the "Ideal Human" mentioned earlier as the goal of the Spiritual Beings. One who was a hard-shell materialist or atheist between birth and death will have a most difficult problem in the time between death and rebirth. They will experience being choked or drowned in the spirit. [page 59] When we find a thorough materialist again after his death, one who on the physical plane did not recognize any reality in spirit, who said during his life, 'All that you say about spirit is nonsense; your wisdom is nothing but fantasy; I will have nothing to do with it. I admit nothing but what is to be found in external nature' — in the case of such a person, when met with after his death, one sees wisdom stream towards him so abundantly that he cannot escape it. From all sides spirit streams towards him. To the same extent that he did not believe in spirit here, he is overflooded by it there. His task is now to change this wisdom into life-forces, so that he may produce a physical reality in his next incarnation. He is to produce what he called reality from this wisdom, he is to diminish this wisdom; but it will not permit itself to be diminished by him, it remains as it is. He is unable to form reality out of it. This dreadful punishment of the spirit confronts him, namely, that whereas in his last life here on the physical plane he relied only upon reality, whereas he entirely denied spirit, he is now unable to save himself, as it were, from spirit and he is unable to produce anything real out of this spirit. He is always faced with the danger of not being able to come again into the physical world through forces which he himself produces. . . . That is a most astonishing thing, but it is a fact. To be a great materialist and deny spirit before death is the way to be drowned, as it were, in spirit after death and to find in it nothing of the only reality one had formerly believed in, A man is then choked or drowned in spirit. Steiner gives two practical examples from everyday life. One hears so often, what does it matter if I lie or if I am lazy? Maybe not too much if one is a materialist and has no ideas of what will happen during one's time between death and a new birth. Obviously most materialists deny such a thing is possible, so the question of what happens never comes up. So what does it matter to them if they lie or are lazy? They'll die anyway, so what does it matter how they spent their lives, or so they think. Take the example of telling a lie. When our soul enters the spiritual world, there will come a time when it becomes filled with the truth that it ought to have expressed. [page 60, 61] This truth torments us; it stands before us and torments us to the same degree in which we deviated from it when we told the lie. Thus one need only tell a lie on the physical plane in order to bring about a time in the spiritual world when we are tormented by the corresponding truth, the opposite of the lie. There the truth torments us because it lives in us and burns us, and we cannot bear it. Our suffering consists in our seeing the truth before us. But we are in such a condition that this truth gives us no satisfaction, no joy, no pleasure; it torments us. One of the peculiarities of our experience in the spiritual world is that we are tormented by what is good, by the things which we know ought to uplift us. When we are lazy at a time when duty calls for us to be busy at work, it may seem that we are getting off easy. In the spiritual world, the tables are turned and that time of ease returns as a time of suffering. [page 61] In our life in the physical world we may be lazy in doing something which it is our duty to do industriously; then comes a time in the spiritual world when we are filled with the industry we lacked in the physical world. Industry most surely comes; it is alive in us when we have been lazy in the physical plane. The time comes when from inner necessity, we have to exercise this industry unconditionally. We devote ourselves to it entirely and we know that it is something which is extremely valuable; but it torments us, it makes us suffer. In the beginning of this review, I mentioned the path that brought me to locating this book to read at this time. It is clearly the right book for me to be reading now. When I first began reading Rudolf Steiner, I was going to libraries and bookstores and buying a lot of books, many of which fill my library shelves still unread thirty years later. I read about ten Steiner books before I began to understand what he was writing about. These were all lectures given to various groups who already knew the basics of his spiritual science which I didn't. But through the help of friends I made on the nascent Internet, I began to read his basic books and soon the decision of what book to read next was almost made for me. Books began to appear out of the blue, sometimes physically dropping off my library shelves into my hands for me to read at just the right time. [page 63] A person may be a painter and exercise the art of painting to a certain degree; if he takes up Spiritual Science he will find that what we have just mentioned will flow instinctively into the actions he performs. He will mix his colors more easily; the ideas he wants will come more quickly. Or suppose he is a teacher, and wishes to take up some science. Many who are in this position will know how much trouble it often costs to gather together the literature required to clear up some question or other. If he takes up Spiritual Science, he will not go as before to a library and take down fifty books that are of no use, but he will immediately lay his hands on the right one. Spiritual Science really enters into one's life; it makes the instincts different; it gives us the impulse to do the right thing. How does someone cure someone else of an illness? We know people who can do this, but Steiner tells us how this operates. A clairvoyant is someone who is consciously competent at perceiving spiritual realities to produce healing, but there are also many people who are unconsciously competent at perceiving spiritual realities, and these are the instinctive healers. Both types of healers perceive the counterpart of the illness in the spiritual world and through this knowledge are able to assist in effecting a healing(10). [page 64] Now, anyone who has earnestly taken up Spiritual Science acquires an instinctive feeling which helps him to oppose the illness and its weakening effect with the proper remedy. That which in the ordinary way is experienced as the result of the illness in the spiritual world works back into the soul, and, in so far as one is still in the physical body, it acts as instinct. One either succumbs to the illness or finds within oneself the way to the forces of healing. When the clairvoyant consciousness finds the right remedy for an illness, it happens in the following way: such a clairvoyant is able to call up before him the picture of the illness. Let us suppose that he has the picture before him of the illness which approaches a person in such or such a way and has a weakening effect on him. Owing to his clairvoyant consciousness there appears to him the counterpart of the illness, namely, the corresponding feeling of health, and the strengthening which springs from this feeling. That which can now happen to man in the spiritual world as the corresponding cure for that from which he is suffering in the physical world, is perceived by the clairvoyant. Through this the clairvoyant is enabled to advise the man for his good. Indeed, one need not even be a fully developed clairvoyant, but this may appear to one instinctively from seeing the picture of the illness. But the cause of that which to clairvoyant consciousness appears as compensation in the spiritual world, belongs to the picture of the illness as much as the swing of a pendulum to one side belongs to the swing to the other side. As a child I was immensely curious about everything. I was constantly asking questions which my parents couldn't answer so when the first library opened up in the small town of Westwego, I was there taking out books, as many as the librarian would allow me to take home at one time. Often I spent hours in the library reading if there was a book that I couldn't include in the five I was allowed to take home. I wanted to know how electricity worked, so I took out a book about Thomas Edison. From another book, I found instructions and built a telephone using carbon from old batteries for the microphone and magnetic and copper wire for the earphone. I went to Louisiana State University and studied physics because I still had lots of questions I wanted answered. How radio waves propagate, how pictures are transmitted over television waves, how atoms split and released energy, and so on. Yet today I am filled with questions, and Rudolf Steiner is the primary source of answers to my current questions. Writing these reviews, which are most like essays when it involves answers to my current questions, is a way for me to learn answers to questions which still puzzle me. When someone asked me why I studied so much, I did not have a good answer for them, up until now. I am led by this next passage to suspect that in a previous lifetime, I did not ask many questions, and I came prepared to compensate for that lack in this lifetime. I think I have found an answer to that question in this next passage. What do you think? [page 65, 66] Let us suppose that we confront some process or some Being in the spiritual world; inevitably it asks us a question. We cannot approach it without its doing so. We stand there with our wisdom, but we are unable to develop sufficient will, sufficient feeling-will, or willing-feeling to give the answer from out this wisdom, although we know that the answer is within us. Our inner being is infinitely deep; all answers are within us — but we are unable really to give the answer. The consequence of this is that we rush past on the stream of time and fail to give the answer at the proper time, because we have not gained the capacity — perhaps through our previous evolution — we have not become mature enough to answer the question when the time comes for it to be answered. We have developed too slowly with respect to what we ought to answer; we can only give the answer later. But the opportunity does not recur; we have missed it. We have not made use of all our opportunities. Thus we pass by objects and events without answering them. We have experiences such as this continually in the spiritual world. Thus it may come about, that in our life between death and rebirth we stand before a Being which questions us. We have not developed ourselves sufficiently in our earthly life and the intervening spiritual life, to give the answer when we are asked. We have to pass on; we have to enter into our next incarnation. The consequence of this is that we must receive the impulse once more, in our next incarnation, through the good Gods, without being conscious of it, so that we shall not pass by the next time when the same question is asked. This is how things come to pass. Many of history's great questions and the answers to them are formed into fairy tales, myths, and epic sagas. Gilgamesh and Beowolf are two tales from disparate parts of the world which ask the question, Why do we have to die? The tale of Oedipus contains a great question which is trivialized by many. Here is my understanding into the great question asked by the Sphinx of Oedipus(11). The question and its answer can be seen as an insight into the evolution of humanity: When the Oedipus inside of each of us answers the question "What kind of an animal is the human being?" the cannibal Sphinx inside of us commits suicide. Stated simply, real human beings do not eat of their own kind as other animals do. Cannibals can thus be seen as subhuman creatures who deserve not to be called human. [page 68] 'Nature and the form of nature is the aim of spiritual creative power.' What I have just brought down to you from the spiritual world is contained in this sentence. In the spiritual world creative power strives to give reality to that which at first heaves and surges in wisdom. Here, we bring forth wisdom from the physical reality; there we do the reverse. Our task there is to produce realities from wisdom, to carry out in living realities the wisdom we find there. The goal of the Gods is reality in form. Philosophers strive toward understanding God, but as Steiner points out, one can arrive only at the concept of “Father God” (but not the Son or Holy Spirit) if we proceed in the way philosophers do, from a study of the physical plane of reality. [page 69] One can demonstrate most exactly, after studying these philosophers, that mere philosophy, as thinking philosophy, can lead nowhere but to a monotheistic Father-God. From what we learned in these lectures so far, it should not surprise us that since philosophy by its study of the physical world cannot learn about the process of death, and it cannot therefore come to understand the reality of the expression which is the theme of Lectures 3 and 4: "in Christ we die". To one who studies only the physical world, one cannot but understand Jesus Christ as a humble carpenter who taught his disciples how to live rightly. If a philosopher speaks of Christ, it is because of positive religion, not because of some reasoned philosophical idea gleaned from the physical plane. The philosopher Lotze claimed that “one God cannot be the son of another,” (Page 70) and gave a reasoned philosophical treatise to explain why that must be so. And when a philosopher says, "must", one takes that to mean, "follows rightly as a cause of". Therefore he claims that the "father is the cause of the son." Steiner finds the loophole in Lotze's logic: "the cause need not cause at all." [page 71] The cause remains the same in its own nature whether it causes or not. That changes nothing in the nature of the cause. And this important fact is presented to us in the symbol of God the Father and God the Son: this important fact, that the Christ is added to the Father-God, as a free creation, as a creation which does not follow in due course, but which emerges as a free act alongside the previous creation and which also had the possibility not to be; the Christ is therefore not given to the world because the Father had to give the Son to the world, but the Son is given to the world as a free act, through grace, through freedom, through love, which when it creates, gives freely. For this reason we can never arrive at God the Son, the Christ, through the same kind of truth by which the philosophers arrive at God the Father. In order to arrive at Christ it is necessary to add the truth of faith to the philosophical truth, or — as the age of faith is declining more and more — to add the other truth which is obtained through clairvoyant investigation, which likewise only develops in the human soul as a free act. One cannot understand the Mystery of Golgotha rightly unless one appreciates the Deed performed by Christ Jesus was a voluntary one. Christ came into Jesus of Nazareth during his Baptism in the Jordan, lived as a human being for about three years, taught, healed, did miracles, and voluntarily irritated the Sanhedrine and others so that they would crucify him, so that the Christ Spirit would die as a human being. This is something every human being had done, but until the Deed on Golgotha, no great spiritual being had ever experienced death as a human being. This was a voluntary gift, a great sacrifice, so that human beings and the Great Spiritual Beings could evolve. Humanity got closer to the spiritual world and the spiritual world got closer to humanity after that great turning point in the history of the Earth. And yet, even today, there are many who ignore the reality of Christ. Some say because it can't be proved that He exists. There is truth in their stance. But there is also truth in the stance that if they ask Christ to come to them, they will experience an abundance of Christ’s presence for which no other proof is necessary. [page 71] Thus from the ordered processes of nature it may be demonstrated that there is a God; but it can never be proved by external means from the chain of causes and effects that there is a Christ. Christ exists and can pass by human souls if they do not feel in themselves the power to say: That is Christ! An active up-rousing of the impulse for truth is required in order to recognize Christ in that which was there as Christ. While we are in this time between birth and death, we can freely choose whether to believe in Christ or not. But once we enter the time between death and a new birth, we will find the Being who came into the world so that we would be able to find connection with Him. And then we will rightly understand the answer to the great question which troubled Gilgamesh and Beowulf, "Why do we die?" and "What happens when we die?" [page 77] When a person passes the portal of death, he lays aside his physical body. This is consigned to the elements of the earth. In other words we may say of the physical body, that it has withdrawn from the forces and laws proceeding from the true man which permeate it between birth and death and which are different from the mere chemical and physical laws to which, as physical body, it succumbs after death. From the standpoint of the physical plane, a person has naturally the idea that he has left on the physical plane that part of his being which belongs to that plane. What belongs to the physical plane is consigned to the physical plane. But what about the human being who has left the physical part behind? We are used to standing on solid ground and seeing objects all around us while in our physical body. What do we experience during the time between death and a rebirth? The first thing is a memory tableau of our life which lasts only as long as we were able to stay awake continuously in our life on the physical plane of existence. [page 80] The period during which we have the impression that our life is running its course like a memory-tableau really only lasts for some days. Our thoughts, which became our memories during life on earth, unfold once more before our souls in this memory-tableau. The next phase of our existence is called kamaloca in Eastern religions. It corresponds exactly to the amount of time we spent sleeping during our lifetime in the physical body. We recapitulate in reverse time sequence all the daily events which occurred in our lives, and through the run of this process, we gradually wean ourselves away from the physical body of our preceding time on Earth. [page 85] In the spirit and soul-nature there is indeed a force of attraction to the body. This must gradually decline, it must be entirely overcome and this takes decades to accomplish. This is the period in which we gradually overcome our connection with our last earthly life and this is why, in the period which is occupied in the manner I have just described, we really have to experience in a reversed direction everything that took place in our earthly life. Do we experience those whom we left behind in the physical world? Remember the ant-hill metaphor Steiner gave us earlier ([page 45, 46] passage above) for the living thoughts which fill our brain? These living thoughts are expressed in elementals which we are now able to see. This gives us an intimate relationship with those we loved. [page 85] Now, when after death we have become accustomed to our elemental creations, we gradually attain to seeing the elemental beings of others; it is possible for us now to see the thoughts of others as elemental beings. We see the thoughts that live in the soul of the person we have left behind, for they are expressed in living elementals which appear before our soul as mighty Imaginations. If you wish to communicate with loved ones who have deceased, reading spiritual science such as this book or other lectures of Steiner is an excellent process to use. Your loved ones will have access to all of your thoughts as you read the material. The process of reading to the dead is recommended by Steiner in several places, but here he explains how the underlying process works to establish that communication. [page 85] In this way we can now have a much more intimate connection with the inner life of this person than we had with him in the physical world; for while we ourselves were in the physical body we could not indeed see the thoughts of the other, whereas now we can. But we have need of the feeling-memory — please note the word — the feeling-memory, the connection of feeling with our own last earthly life. We must feel, just as we felt in the body, and this feeling must echo in us. Then, when the thoughts of the other appear to us, the whole condition, which otherwise would only be as a picture, receives life. In a physical body, we bump up against objects in space. In the spiritual world, we develop our will and it bounces against elementals in such a way that these elementals attain the reality for us that objects had when we were in the physical world. [page 87] There, outside surges and billows the ocean of our will and upon this swims our feeling. When the will strikes against an elemental thought-being, the contact produces an up-glimmering of feeling and we perceive this 'ricochet' of our will as an absolute reality of the spiritual world. Let us suppose there is an elemental being in the outer spiritual world. When we have gradually worked out of the condition we must first pass through, our will going forth from us breaks against this elemental being. When it strikes against the elemental being it is thrown back. It does not now return as will, but as feeling, which floats back to us on the waves of will. Our own being which is poured out into the cosmos lives as feeling which comes back to us on the waves of will. The elemental beings thereby become real to us and we gradually perceive that which exists outside us as the outer spiritual world. Before we reach the Midnight or midpoint of our time between death and a new birth, we have spent the majority of this time in alternating periods of longing and solitude. [page 91] But to this end one thing is necessary in our present age. I have said that during the whole of the first half of our life between death and rebirth we alternate between inner life and outer life, between solitude and spiritual companionship. At first the conditions in the spiritual world are such, that each time we return to our solitude in the spiritual world, to our inner activity, we call up before our soul again and again what we have experienced in the outer world. Thereby a consciousness is aroused which expands over the whole of the spiritual world; with the swing of the pendulum this again contracts during the period of solitude. But when we finally reached that Midnight of our soul, the Christ to which we died and has brought us so far is replaced by the Holy Ghost as we proceed on to the time when we will be born into a new body. [92, 93] In Christ we have died; through the Spirit, through the bodiless Spirit for which the technical expression Holy Ghost is used, i.e., the Spirit that lives without a body — (for this is meant by the word Holy, namely, a spirit without the weakness of one that lives in the body) — through this Spirit we are reawakened at the Midnight of the World. At the World-Midnight we are awakened by the Holy Ghost: Per Spiritum Sanctum Reviviscimus. [page 96] Enjoyments and pleasures which can only be satisfied through the body, or through having a body on the physical plane, confront us in this period between death and rebirth as something that must be transformed if we do not wish to be slowly suffocated in them. We feel the necessity for this transformation, but we also feel that in the first place it will require many incarnations, that we must be in the spiritual world again and again between these incarnations, so that at length we may be able to bring about this transformation. When we are in this period of post-midnight existence, a feeling and thought arises in us that we will never be able to compensate, for example, for that lie we told someone until we are once more in a physical existence upon the Earth in our next lifetime. [page 97, 98] . . . here [in the spiritual world] you can only see quite clearly the effect of a lie in the cosmos. What has been done upon the earth in this way must be made good again upon the earth. We know that in order to make compensation we need forces which can only develop in us when we again possess an earthly body. From this a tendency arises in our soul to take once more on ourselves an earthly body which will give us the opportunity to perform the actions whereby the imperfections we have caused upon earth may be repaired; otherwise, when we have gone through death once more this person will again appear to call forth the torment of the truth. Here we see the voluntary force of karma at work. One is not forced to make recompense for past acts, but the torment one suffers from one's misdeeds provides encouragement enough to ensure the balancing of our karmic deeds from a past life. Another important point is that the forces which create a strong will in a succeeding life can find their source in the reserves that a young person possessed, but who died without using. They will be more apt to return in their next life with a stronger will if their early death was due to accident or illness. [page 99] Let us take the case of a person who through illness dies earlier than another who enters into 'time', as it were, after a normal length of human life. His illness brings him to an early death; but he really retains certain forces within him which he would have expended if he had reached the normal length of human life. The man would have used these forces, which remain within him as a reserve of strength, if he had not died early, and when the life after death is examined, the spiritual investigator finds that these forces are added to the man's forces of will and feeling, strengthening them. Such a person is in the position so to use, after the Midnight Hour of existence, what has accrued to him through these forces before the Midnight Hour of existence, that he enters earthly life as a man of stronger will and of much more character than if he had not died so early. It is, however, previous karma that determines this and naturally it would be the greatest folly if a person were to think that he would gain what has just been described by bringing about an early death artificially; he would not gain it thus. What happens when an early death is brought about artificially, you will find described in my book Theosophy, so far as it is necessary to explain it. What happens when a devout materialist dies is rather interesting and should give pause to the most ardent of the lot. [page 100] For example, it is a fact, which is confirmed by spiritual investigation into many cases, that if a person dies a thorough materialist, with a materialistic frame of mind, and leaves others behind who are also materialistically inclined, he at first suffers a certain loss in the spiritual world. When he has passed through the portal of death without spiritual inclinations, and wishes to look back at his loved ones on the earth, he cannot see them directly if in their souls there is no spiritual thought; he has knowledge of them only up to the time when he passed through death. His spiritual eyes cannot see what they are now experiencing below upon the earth, because there is no spiritual life in their souls; for only spiritual experience throws light up into the spiritual worlds. Before such a person can see the matter quite clearly, he has to wait until in the spiritual world itself he has developed the necessary forces with which to see clearly that the souls he has left behind are materialistically inclined because they have succumbed to Ahriman. Were he to experience this immediately after death he would be unable to bear it. He has first to grow into the knowledge that materialistically inclined souls are possessed by Ahriman; then he may begin to have vision of these souls, until they have passed the portal of death and in the spiritual world have liberated themselves from their materialistic tendencies. It is only later that he experiences union with them. As the Chinese would say, "no tickee, no laundee". Things are not nice in the spiritual world. They simply are what they are. If one would not like to spend their life between death and new birth completely alone, they should take heed and spend time learning spiritual truths now, as then it will be too late. It is to this end, bringing these important spiritual truths to the world, that Steiner devoted most of his lifetime. In the period between 1900 and 1925 he gave over 6,000 lectures such as this one, all of them devoted to some aspect of spiritual truth. That so many of those lectures were recorded, transcribed, and bound into books reveals the importance placed upon those lectures by those who took the shorthand notes, edited them, and paid to have them printed for others to read. With the advent of the Internet, the materials of Rudolf Steiner are being converted to electronic books whenever possible, so that out-of-print books such as this one can make his insights available to all of us, no matter where we live in the world. [page 101] Spiritual Science has come into the world because the evolution of humanity requires that the knowledge of the spiritual world and its conditions should enter more and more into human souls, instinctively at first, then consciously. I will draw your attention to a purely external thing which is very important, in order that you may see how we shall be able more and more to judge the true contents of our life on the physical plane through understanding the laws of spiritual existence. It is something external and as an external thing is extremely important. When we consider nature, the remarkable spectacle is presented to us of a small number of seeds being used in every case to continue the same kind of life, but that an extremely large number of seeds come to nothing. We observe myriads of fish eggs in the ocean, a few only of which become fishes, the rest perish. We look out over the fields and see vast quantities of grains of wheat, only a few of which grow into plants, the rest are ground up into flour for human food and for other purposes. A great deal more has to be produced by nature than really becomes fruit and again seed in the regular course of existence. This is a wise regulation of nature; for in nature order and law exist and demand that what thus deviates from its own deeply founded routine of existence and fruiting, should be so used, that it serves the other continuing stream of existence. Steiner goes on to compare those who hear his lectures to those seeds. Some of them go away laughing at what they perceive to be foolish ideas and fancies. Those who laugh the loudest are like the seeds which fall upon rocks and die without bearing any seeds in this lifetime. But human beings are not plants which if they die in seed form are gone forever. Humans return in a succeeding lifetime so that they may succeed at the very ideas that they scoffed at in a previous lifetime. This is a most encouraging law of the spiritual world, is it not? Steiner has mentioned earlier that Christ had to enter the Earth at the time of the Mystery of Golgotha, and now he reveals why. Humans had reached a position during the period after the Midnight Hour of their souls where they would have forgotten that they were an "I" in their previous lifetimes. Human beings would have died never to return to physical existence beginning with the time of 33 A. D. but for Christ's Deed on Golgotha. [page 107] If the Christ-impulse had not entered the earth, an interruption would have occurred, a break, in the middle of the period between death and rebirth which would have made our existence inharmonious. . . . Even at the present time, it is necessary that man should experience during his earthly life not merely what is absolutely necessary regarding Christ, but that the Christ-impulse should enter into his soul as a mightier impulse, so that it will sweep him rapidly beyond the Midnight Hour of existence. [page 110] In the midst of the decline of spiritual life, in the midst of spiritual death, caused by an outlook based merely on sense-perception and a brain-bound intellect, the souls of men will be awakened by the Holy Ghost — even now during physical existence: Per Spiritum Sanctum Reviviscimus. We have in these short lectures a panoramic view of the entire scope of our lives as a human being, both on the physical plane and the spiritual plane during our time between death a new birth. Steiner shows us how this is a cyclic process which continues from lifetime to lifetime as we process towards the Ideal Human. When we pass into the time between death and a new birth, we live in Spirit Land and are confronted by our mistakes. This happens in such a personal way that we resolve to balance the karmic debt we incurred in our previous lifetime. We re-enter into a time between birth and death and work to achieve a karmic balance. Into this description of karmic balancing, Steiner inserts the important functions provided by God the Father, the Son, and the Holy Spirit. How we are born in the Father, we die to the Son, and are reborn via the Holy Spirit. In addition we are led to understand the importance of the Deed of Golgotha by Christ the Son in helping us to avoid the snares of Lucifer and Ahriman and to return to our life in the physical plane where we can progress towards the Ideal state of Humanity. Footnote 1. The specific name used was "Members of the School of Spiritual Science, Goetheanum, Class I." The caveat to readers at the beginning of the book says: "No person is held qualified to form a judgement on the contents of this work, who has not acquired — through the School itself or in an equivalent manner recognized by the School — the requisite preliminary knowledge." Footnote 2. The second lecture he refers to is apparently the one he gave on April 8, the second of the two public lectures on April 6 & 8 which are not included in this book. Footnote 3. This phrase death and rebirth to refer to life in Spirit Land and its companion phrase birth and death to refer to our physical life are essential and cannot be replaced by simpler terms. We live through both phases as human beings. We are not dead in Spirit Land, we simply transit in to the phase known as the time between death and rebirth and then we return to the time between birth and death where we are now as you read this. As I pondered this matter, it became clear that these phrases are necessary to counter common presuppositions about life and death. Footnote 4. 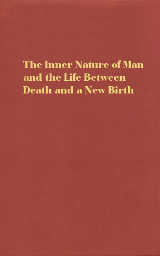 He referred to these lectures in Vienna, April 1914, published as The Inner Nature of Man and Our Life Between Death and Rebirth by Rudolf Steiner Press/UK in 1994. Footnote 5. When Del, my wife of 29 years, read this she commented, "Yes, indeed! I feel this with you." And I feel this with her. It was this feeling which attracted us and it has kept us together over the years. Footnote 6. Spiritual perception" is a synonym for "supersensible perception" or "clairvoyant consciousness". Footnote 7. The Guardian of the Threshold only operates on us while we are in the physical plane. Think of it as a personal security guard while keeps you secure in your home from distractions which would otherwise interrupt you from your tasks as a human being in this lifetime. Those distractions become directly accessible to you as spirit-beings when you enter the time between death and a new birth in Spirit Land. Footnote 8. If you are not familiar with elementals, this book will be a great help in understanding the passage from [page 45, 46]: Harmony of the Creative Word by Rudolf Steiner. Footnote 9. Note that the use of the verb "will" is more common in German than in English. There is no other word to use and one must be careful to distinguish the verb "will" meaning "to exercise one's will" from the auxiliary verb "will". Footnote 10. Phase 7 of Ortho-Bionomy represents, so far as I can tell from my study and practice of it, an application of the healing process that Steiner discusses in the passage from page 64. Footnote 11. Here's a brief review of the encounter of Oedipus with the Sphinx. The Sphinx was a half-man, half-lion creature that posed a question of every man who passed and if they answered incorrectly, they were killed and eaten. Here is the question, "What kind of animal walks on all four legs in the morning, on two legs in the afternoon, and on three legs in the evening?" When Oedipus rightly answered, "Man," the Sphinx committed suicide. 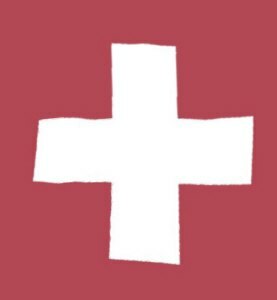 To Obtain your own Copy of a Reviewed Steiner Book, Click on SteinerBooks Logo below to Order a Copy.